Earlier this month, it was revealed that the Royal Malaysian Police will launch a programme to get obese policemen to lose weight, or risk not getting promoted. Police officers whose BMI (Body Mass Index) exceeded 25 kg/m² would have to join the programme and lose 5%-10% of their weight within 6 months. Although it was high time for the burgeoning (literally) police force to trim some fat and get fit, many policemen were apoplectic about being officially labelled as fat, and being forced to get fit. We have no idea which is more outrageous to them. Many Malaysians chortled when they read that. After all, he is as portly as many of the police officers he criticised. But they didn’t know that they (and our boys in blue) were getting trolled by IGP Khalid. Sounds like a very fair statement, doesn’t it? 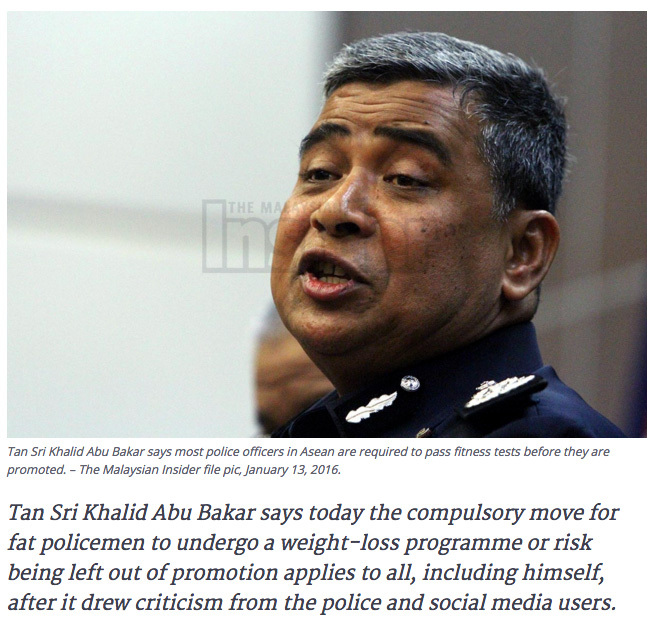 IGP Khalid is actually walking the talk, and applying the same standards to himself. Tan Sri Khalid Abu Bakar is the Inspector-General of Police. That is the top rank in the Royal Malaysian Police. 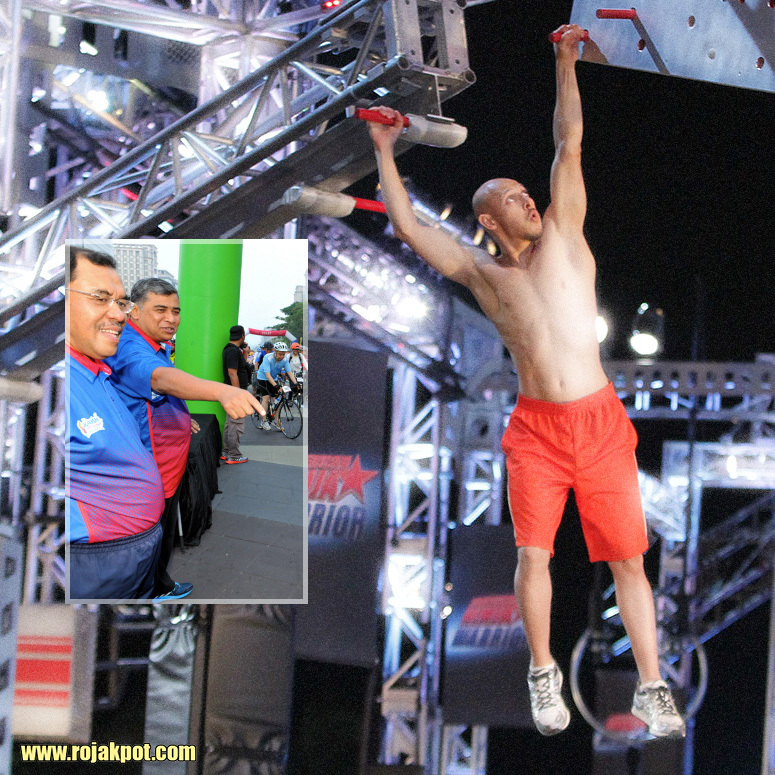 IGP Khalid cannot get promoted even if he’s as fit as an American Ninja Warrior finalist! So what if he continues being pudgy with a BMI exceeding 25 kg/m²? So what if he doesn’t get promoted again for the rest of his life? He’s already at the pinnacle of his career! Previous : The Old Terrorist Bomber Hoax Debunked!